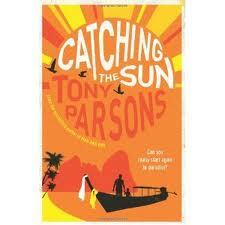 I was recently very impressed with the perfect summer read ‘Catching the Sun’ by Tony Parsons. I loved the book and can only assume that you are a regular visitor to the area of Phuket ? Can you tell me what drew you to set the book there? I had been going to Thailand for over 20 years – I first went there for a wedding – but I had never been to Phuket until a few years ago. I was staying on Hat Nai Yang, where CATCHING THE SUN is set, and I had never seen anywhere so unspoilt and beautiful and calm. I fell in love with the place, and I knew there was story – that this beautiful sea was where the Tsunami of Boxing Day 2004 came out of, and that this tropical paradise was where generations of Chinese immigrants came to work in the tin mines. So the more I saw of it, and found myself coming back to Phuket, the more I felt that I would like to write a book about this place. Where do you write? Can you write anywhere and did you spend time there whilst writing it, or make many research trips? I spent a lot of time in Phuket, maybe made a dozen trips there over the last three or four years, almost always alone, although I know people there – mates from Hong Kong, one who has a holiday home there, and one who has lived on Phuket for 20 years. But I quite like being alone when I am researching a book – and makes you think, makes you meet people, gives you lots of long lonely moments where a book has a chance to grow. So while I am out on the road I am writing, sort of, although really it is more of gathering information and letting the book grow inside me. I write at the top of my house in Hampstead. It is the smallest room I have ever worked in but there best. It is stuffed with books and exercise equipment. It looks west, towards Wembley, and it has the most beautiful sunsets I have ever seen anywhere in the world. Was the burglary/assault based on anything that you or someone close had experienced or inspired by the press and our failed justice system in general when it comes to defending own family/property? The burglary was based on the feeling that there is too much sympathy for the criminal and not enough for the victim. My family were burgled 10 years ago, when my wife was pregnant with our daughter. I woke up about 5 am and found a huge bamboo pole coming through our letterbox with a fishing hook on the end – and my car and front door keys on the hook!! I went fighting mad and chased a couple of terrified junkies down the street – so it was not quite as dramatic as what happens in CATCHING THE SUN. Do you have a strict writing regime or any special quirks/rituals tied to your writing work? If I am in London, then my life is very ordered and simple – it revolves totally around work, my family and the gym. I walk my daughter to school with our dog Stan in the morning, then I come home and write 1,000 thousands – that’s my goal every day, 1,000 words. For about 4 hours a week I box – heavy bag, speed bag, pad work, a lot of abdominal work and stretching, and once a week full contact sparring with my trainer. I have also just taken up Yoga as I am such an old git and I think my muscles need to be lengthened and toned and stretched – I believe that Yoga will be a nice complement to the boxing. I try to keep fit as writing doesn’t use your body as much as it needs to be used. So my days and my life is very strict and I find that works for the life of a writer. Are there any plans for a movie of Catching the Sun? – I think it would make a great film – with the shattered idyllic lifestyle it made me think of The Mosquito Coast as times. You are right to suggest The Mosquito Coast – it is definitely inhabited by the spirit of that book. No plans yet – but then it doesn’t come out until 7th June so who knows? What can we look forward to next from you ? CATCHING THE SUN is the direction I am heading in – I think of it as a thriller with heart. That’s what I want to right – next I will write a straight crime novel. 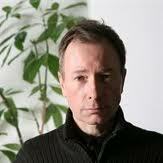 I admire writers like Ian Fleming and Sir Arthur Conan Doyle who invented characters that lasted for 100 years. I would like to come up with a detective who will stick around that long, and that is what I will be trying next. I am not sure if anyone will be interested, but I am going to do it anyway. You have to follow your instincts – in writing and in life. With many thanks to Tony Parsons for his time, and for a great read.